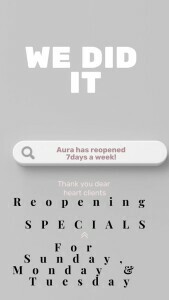 My Appointment | Aura | Book appointments online hassle free. 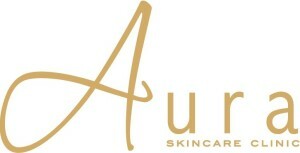 Aura Skincare Clinic & Lucky Bird Boutique is nestled in the heart of Parkhurst. **Please Note: Three therapists need to be booked at the same time for the January special 1 hour makeover. Book this package for you and your partner. More than 1 therapist can work on you at a time. If you require any assistance, please contact us. Kindly note that our regular operating hours are from 9:00AM to 6:00PM however, we are available on request from 7:00AM to 7:00PM. Please contact us telephonically if you wish to book outside of our regular hours. Cancellation Policy: Please note that appointments not cancelled 24 hours prior to the appointment will be charged in full. We offer spray tans in the privacy of your own home, please call the salon to book.